Fabulous textures, super work on the pp! wonderfully captured and great texture! Very fine capture of color and texture in this. I sure do love shots like this Howard. 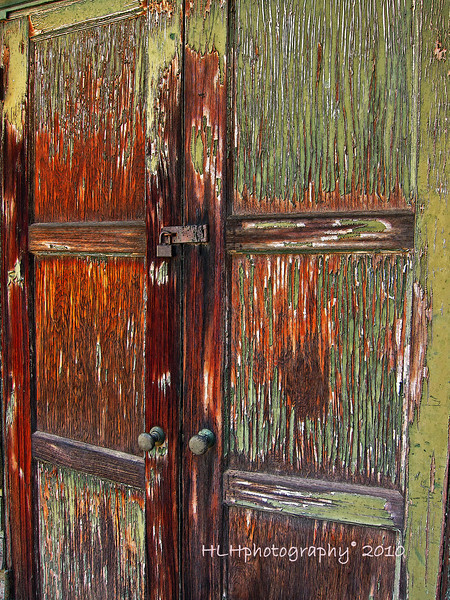 The weathering on the doors brings out the texture and character, plus the many layers of paint that you can see are like adding dewdrops to a flower for me. Excellent work. Great textures and little splashes of color. Isn't it great to see something and remember a fond time? Very cool textures and color Howard! Great door, lots of color and texture.